People boast about “watching everything on their laptops” nowadays. However, small laptop screen cannot trump the satisfaction of watching the images on the big screen. 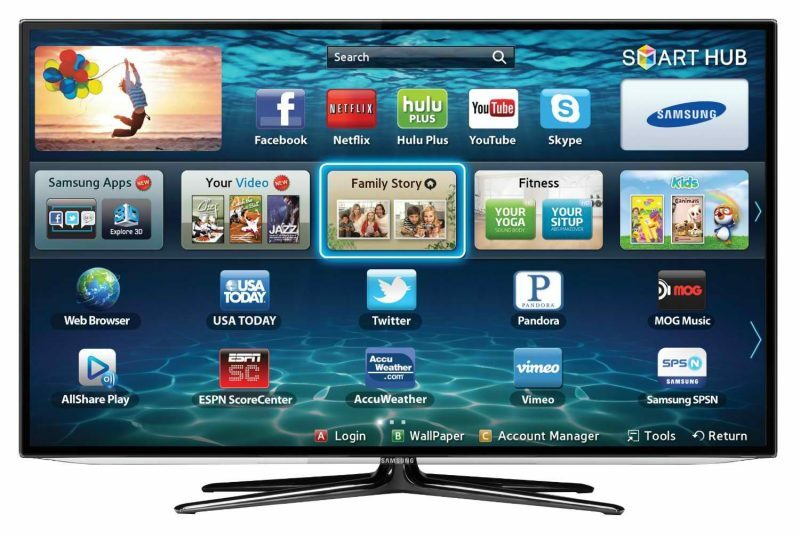 Samsung smart TV is among the current big players that present high-tech features to regular homes. From Full HD to QLED Smart TV, Samsung presents high-tech options to enjoy movies, TV series and musical performances in great qualities. Mobile devices are inseparable parts of our daily life now. Samsung smart TV offers dedicated integration system to mobile devices. Connecting mobile devices into a smart TV is easier, and you can enjoy videos, photo albums, or music on both devices. Samsung TV has an app called SmartThings, which create “remote” in your mobile device. Samsung Smart TV mobile integration also includes the unique audio feature. You can watch TV but listen to the sounds by using your phone’s headphones. Enjoy high-quality images on a large screen without turning up the volume. What’s the use of smart TV technology if you cannot browse numerous contents for your weekend? Samsung has a feature called Smart Hub, which collects all contents into one browsing space. This way, you can explore all the contents using an easy navigation system. Browse Netflix, YouTube, Hulu, Amazon Prime, HBO, and other content providers you like. 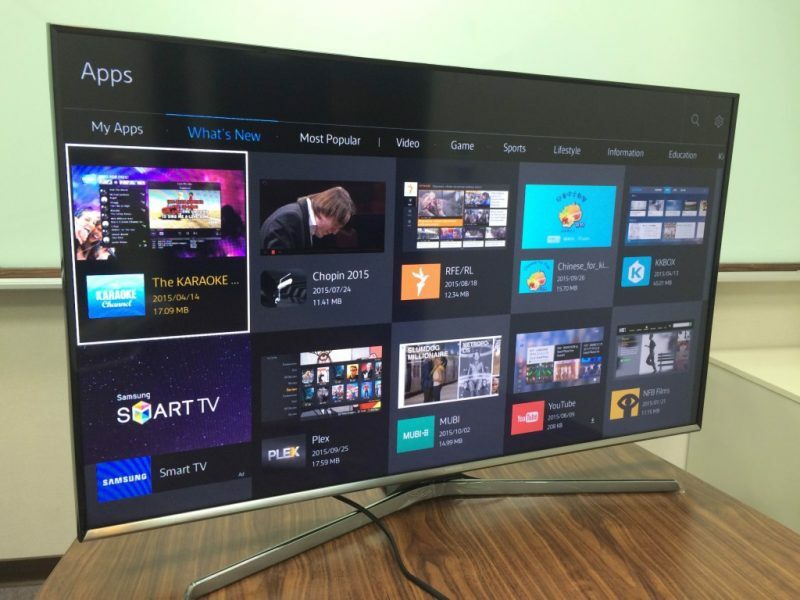 Samsung Smart TV also provides a connection to various contents, such as news, sports, lifestyle, food, and kid’s shows. However, if you want to connect the contents with your mobile devices, you must have compatible products. You must also download the SmartThings app for mobile devices. Samsung partners with Netflix to provide you with numerous movies, TV series and shows, and comedy performances. Membership is required to enjoy all the benefits. If you buy or rent movies on your mobile devices using Google Play Movies & TV, you can enjoy them on the TV. Samsung TV offers unlimited videos by Amazon Prime, including original Amazon series and movies. Samsung TV is connected to Facebook Watch, giving you unlimited original videos, news clips, and other posts by your favorite Facebook accounts. Upgrade to Spotify premium and get unlimited access to thousands of songs, podcasts, audiobooks, and online language learning sources. Access your favorite YouTube videos and sign up to watch original YouTube Red movies. 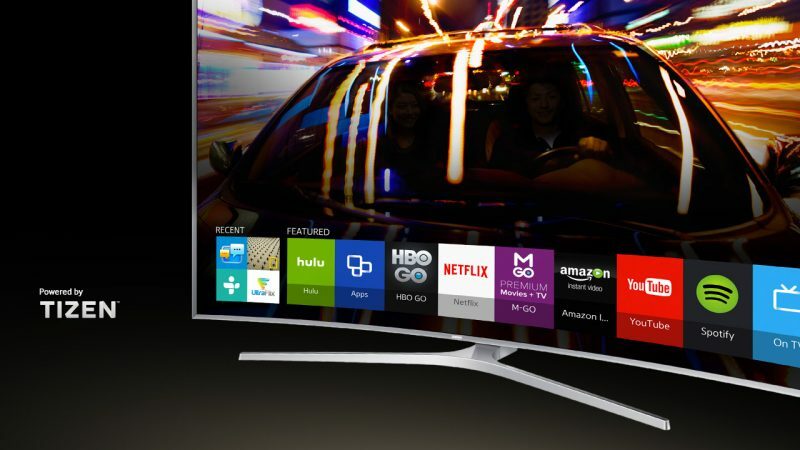 These apps are popular recommendations in your Samsung Smart TV device, and details may be different depending on where you live. Make sure you check the availability of certain contents in your regions. IoT is no longer a futuristic technology, but something you can normally access as a part of daily life. If your house has smart home technology, you can download the SmartThings app to connect the control with Samsung Smart TV. SmartThings acts as a dashboard to control your appliances and home functions. You will no longer forget to turn off washing machine or electric stove. 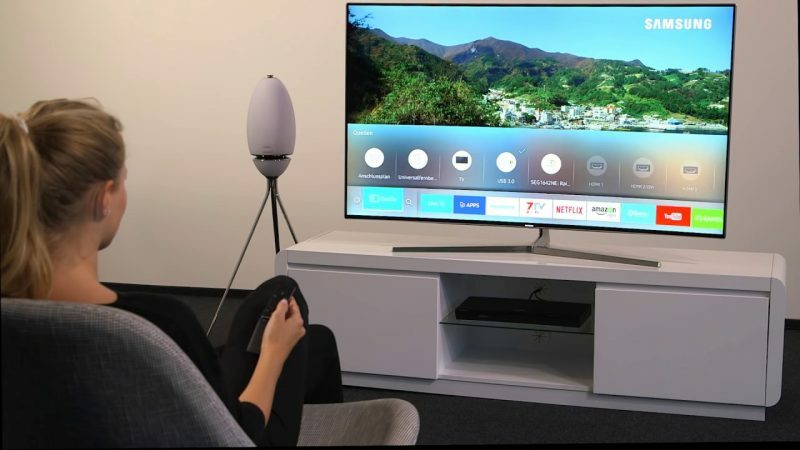 Samsung TV connects your smart devices to SmartThings dashboard. You can see the remaining time before you must turn off the appliance. The notification will not interrupt your videos or programs. You can control appliances in the house from SmartThings dashboard. Control air conditioner, security cameras, baby camera, doors, and lamps using the “remote”. Do everything you need with minimum movements. SmartThings shows you the status of various house features. For example, it tells whether your doors are locked or not. You can also access the video feed of someone in front of the door. Samsung Smart TV allows you to use these functions with the compatible OS. Your appliances must also have IoT connections. One Remote Control is Samsung’s smart feature to help you accessing various functions with voice commands. The remote control not only allows you to give simple commands like “Play” or “Rewind”, but also something more specific. For examples, you can play a saved movie title or search for favorite YouTube videos just by mentioning the title or keyword. 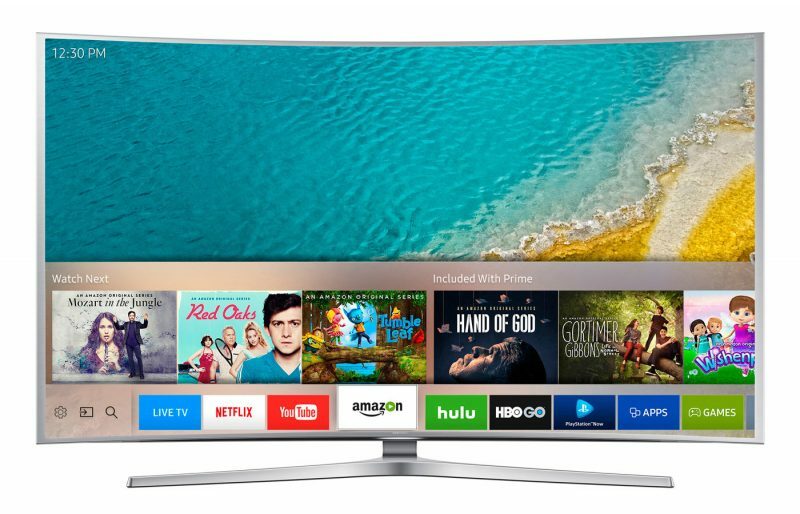 Conclusion: Should You Buy Samsung TV? Yes. Samsung has released four types of smart TV with unique features. Even the “simplest” Full HD TV has 1080p resolution and better image quality than most smart TVs. Meanwhile, the newest QLED TV presents sharp, high-definition images with quantum dots technology. Samsung Smart TV is not just entertainment, but also a useful appliance for daily life.